According to the NASA History book Living and Working in Space: The NASA History of Skylab, Skylab 4’s commander, Gerald Carr, boosted the space station’s orbit by firing the Apollo spacecraft’s attitude-control thrusters for three minutes at the end of his crew’s 1973-1974 mission. It was then expected that the space station might remain in orbit for another nine years, through 1983. By 1977, that expectancy shifted to 1980, the solar maximum year. But in early 1978, it was clear that Skylab might come down even sooner than expected. Solar activity had been the highest ever recorded by modern instruments, and this factor increased drag on the space station. Adding insult to injury, a proposed Space Shuttle mission to attach a Teleoperator Retrieval System to Skylab was thwarted by the fact that the shuttle wasn’t yet ready for flight (and it wouldn’t be until 1981). Faced with this turn of events, Skylab thus began its final unmanned mission – with the aid of ground controllers and computer programmers. There was an ambitious plan to re-boost the space station, making it available for possible refurbishment and reuse for science missions during the 1980s. During 1978, a space shuttle mission was being developed that would allow a Teleoperator Retrieval System, a sort of Inertial Upper Stage, to be remotely maneuvered to Skylab, which would then boost its orbit. This mission, STS-2A, was to be crewed by commander Fred Haise (who had recently commanded three Shuttle Approach and Landing Test missions)and pilot Jack Lousma, and was due to launch in mid-1979. Notably, Lousma had been Skylab 3’s pilot during its 59-day-long 1973 mission; STS-2A would’ve made him the first person in spaceflight history to visit Skylab twice. This mission was scuttledby the fact that increased solar activity was decaying Skylab’s orbit more quickly than expected, and the space shuttle was not even close to being flight-ready. The first shuttle had been tentatively set to launch in 1978. The shuttle program’s early flight manifest at that time was optimistically ambitious (the first Spacelab mission, not launched until 1983, was slated to be launched in 1980!) and it still faced issues with its main engines and thermal protection system. This flight was canceled. The real STS-2 mission flew with Joe Engle and Richard Truly at the helm in November 1981, and Lousma would command STS-3 in March 1982. Haise left NASA the same month Skylab came down in 1979. One myth often repeated about Skylab regards the nature of its infamous reentry. Contrary to popular belief, it did not have an uncontrolled return back to Earth.In March 1978, IBM computer programmers who had worked on the ATMDC computers during their development worked hard to devise new ways to control Skylab as it continued toward its downward trend. During its human-helmed missions, Skylab had flown mostly in solar inertial (SI) mode to ensure the best outcome for its battery of solar experiments. 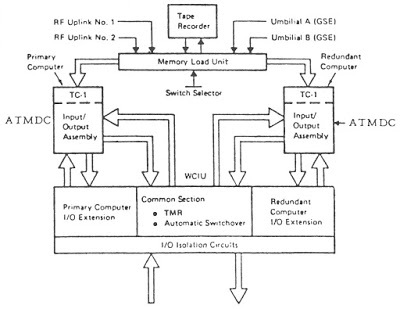 However, as Computers in Spaceflight explained, “The SI mode was high drag, so engineers devised two new modes, end-on-end-velocity-vector (EOVV) and torque equilibrium altitude (TEA). EOVV pointed the narrow end of the lab in the direction of flight, minimizing aerodynamic drag on the vehicle. TEA could control the reentry, using the gravity gradient and gyroscopic torques to counterbalance the aerodynamic torque.” On March 11, 1978, the ATMDC was powered up after a four-year-long nap, and incredibly resumed the program cycle it had been in four years earlier. 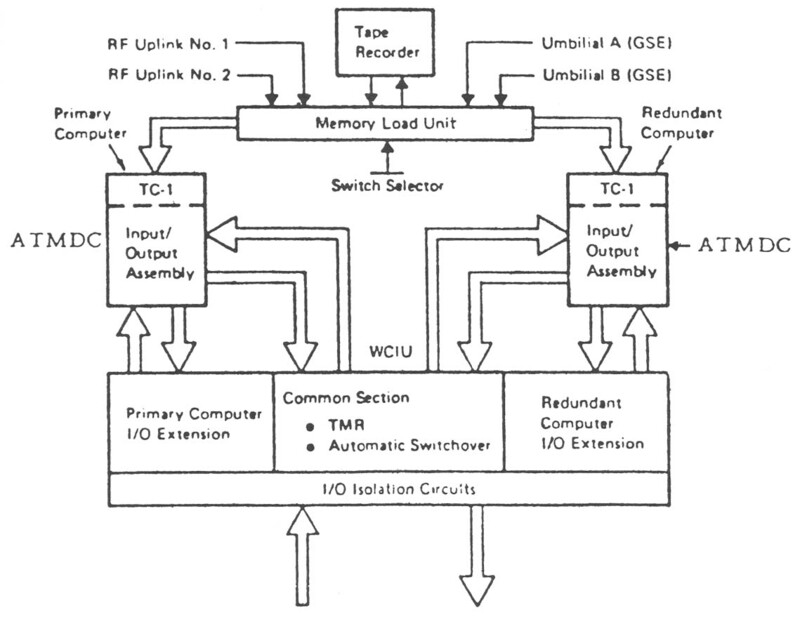 The ATMDCs were the first redundant computers used in spaceflight, and their robustness heavily influenced the upcoming Shuttle program. 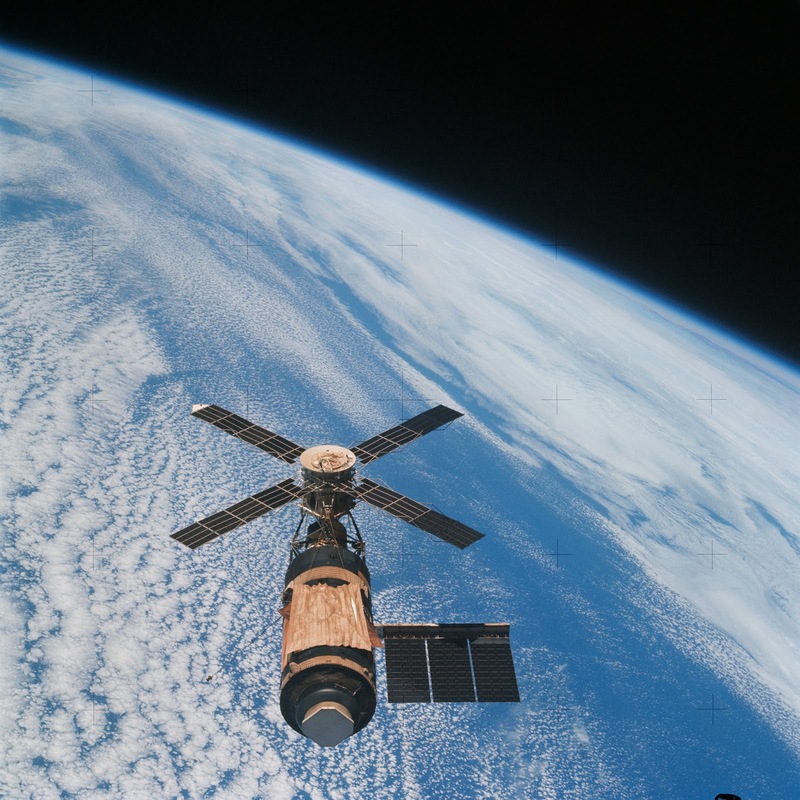 An interview in the book Homesteading Space: The Skylab Story with Charlie Harlan, who was the head of the Skylab Reentry Flight Control Team, further sheds light upon the space station’s final mission. 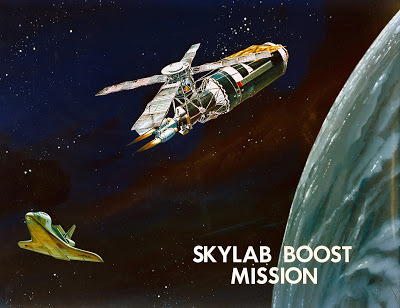 The programmers had to also work with the knowledge that to control Skylab, at least two of its Control Moment Gyros (CMGs) were needed; one of the CMGs had failed during Skylab 4’s mission, and another one appeared to be on the wane. 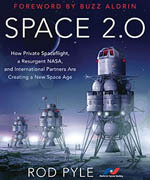 However, Harlan disclosed, “As a side note it was learned after the reactivation phase that the ailing CMG worked better if it was exposed to the sun and not in shadow for extended periods and so we developed maneuver plans for flipping the vehicle from orbital workshop and habitation mode forward to Apollo Telescope Mount forward, depending on which end was more favorable for heating the ailing CMG.” By June 1978, Skylab was successfully operating in EOVV mode. By mid-1979, the focus shifted from keeping Skylab in orbit to minimizing the possible effects of its remnants coming down uponpopulated areas. According to Homesteading Space, the battle-scarred space station was placed, again, into the high-drag SI mode. As altitude decreased, Skylab was placed in TEA mode to provide counterbalance, preventing the space station from going out of control. At eighty miles in altitude, the CMGs were turned off, allowing Skylab to begin its final tumble from orbit. While most of America’s first space station fell over the Indian Ocean, parts of it hit near Perth in Western Australia. The orbital fortress that had, six years previously, arrived in orbit with parts missingironically proved to be too strong to break up completely over an ocean. Skylab came to an end on July 11, 1979, the same month Haise and Lousma were meant to save it. All things must pass away. For more about the history of Skylab, come see my talk at Spacefest VIII on Saturday, June 10. 1. Benson, C. & Compton, W. (1983). Living and Working in Space: A History of Skylab. Washington, D.C.: National Aeronautics and Space Administration. 3. Tomayko, J. (1987). 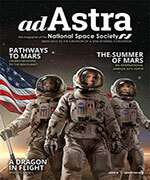 Computers in Spaceflight: The NASA Experience. Washington, D.C.: National Aeronautics and Space Administration.